Is It The Time To Replace Your Furnace? The best time to replace your furnace is as the summer is going through. The days are still rather long and your air conditioner might still be working in order to maintain the comfort of your home. So, even though it might seem that you have several months before the winter, it’s always good if you have a head start. It might appear to you rather untimely to replace the furnace in the summer but a furnace assessment at the end of the winter last year showed that your heating system isn’t actually performing efficiently. You know that it’s high time to change it and delaying it any further is undoubtedly going to cause you a lot of issues. You know how clothing stores don’t really have the room to display clothes which are out of season? Well, it’s the same with HVAC manufacturers – they can’t really justify keeping the furnace models from last year as the new ones are going to arrive in a few months. You can easily take advantage of the purge of inventory which would follow and strike a tremendously great deal on the off-season furnace replacement. Regardless of whether you aim for high efficiency equipment or not, you are definitely going to pick something which works well. Sure, you ought to consider your financial situation and all that but the truth is that replacing your furnace through the spring or fall would probably turn out to be a bit more expensive. The reason is fairly simple – these are the busiest times of the year for HVAC companies. With this in mind, at the end of the summer the situation is far more lenient and there is nothing much that you’d have to consider. Most of the HVAC professionals in Georgina are free and can work on your units with ease during the lean period. There is no need for you to worry whether or not your old model is going to function properly for yet another season. The thing that you would have to account for is that you would be able to begin the new heating season with a machine which is brand new and it’s not going to cost you as much to run and maintain. However, it is wise to invest in a new furnace only if the older one is completely inefficient or beyond repairs. All in all, these are the things you’d want to take into account when it comes to replacing your furnace. However, there are far more considerations to be aware of but these are more or less the most important ones. This is something that you should consider because it could potentially spare you a significant amount of money and it could end up in a far more comfortable and warm winter. This is definitely worth the end-of-summer hassle. 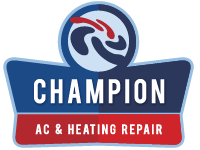 https://championhvac.ca/wp-content/uploads/2017/03/champ-01.png 0 0 miasoft https://championhvac.ca/wp-content/uploads/2017/03/champ-01.png miasoft2017-09-22 08:57:252017-09-08 08:59:43Is It The Time To Replace Your Furnace? Why Opt For Professional HVAC Installation? Can Ductwork Condensation Damage Your House? How To Prep Your HVAC For The Winters? How Does Your Home Lose Heat? How Important Is Attic Insulation? Is Your AC Improving The Quality of Your Air? Why Is Freon Used In AC Units?